Festival of Ganesha is the most happening festival in mumbai. 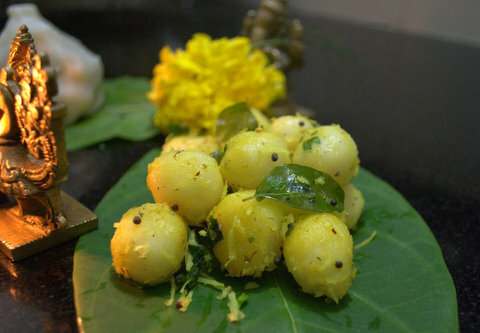 This festive season comes in August/September and is well known for decoration of mandaps upto 10 days. 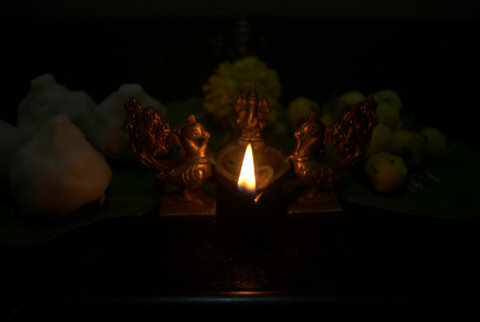 By far the most popular of hindu Gods and Godesses, Lord Ganesha is considered to be bountiful and eternal. He is the endower of joy, the God of knowledge and of wisdom. Lord Ganesha is worshipped at the beginning of every puja and his holy name is invoked before starting any venture. No festival is complete with good food and sweets. 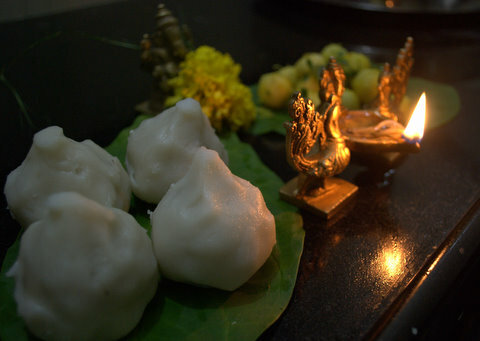 Like Ganesha, I too love modaks and wait every year to eat them. As it is my first stint at making modaks, I refered to Chefinyou to prepare Sweet Modak and Pearl Modak. It was my first time experience cooking with rice flour and the sweet modaks became a bit thick. The filling was just perfect and compensated for the thick covering. Pearl modaks are made from the left over modak rice flour dough.I seasoned it with mustard seeds, curry leaves,a pinch of asafoetida, tumeric powder, green chillies, grated coconut and cilantro. I'm enjoying my festive foods and hope you are enjoying yours too. This is my submission to this month's Iron chef Edition, hosted by One Hot Stove. Both versions look beautiful- thanks for the entry!